Cloud computing or simply the cloud is one of the newfangled technologies of the 21st century that has immensely transformed how businesses deliver their services today. The cloud has been instrumental in handling workloads for businesses, giving them more time to innovate and focus on their core business operations. The increasing popularity and adoption of this technology have also seen a meteoric rise in the development and use of functional programming languages such as Scala and Java. These two languages are interoperable, and together they have undergone a remarkable growth to become the most preferred languages for programming to and interacting with cloud computing platforms. Below we will delve deeper into these languages, outline their differences and explore the benefits that each of these languages offers in modern software development. Java is one of the oldest and most used programming languages out there, thanks to its versatility and compatibility with various systems. The object-oriented nature of the language makes it suitable for modeling real-world problems. The language can be used for a variety of functions ranging from software development, mobile applications development, and large systems development. Despite being used in developing complex systems, the Java programming language is simple to read and understand. Scala is a new generation programming language that combines the object-oriented nature of Java with a functional programming model to form an extremely concise, logical and high-level language. The language was first introduced in 2003 in an attempt to create a “better Java” and has since gained momentum due to its functional and highly scalable nature. The neat thing about Scala is that despite being a language unto itself, Scala code can be compiled into an intermediary form of another language and then executed in non-Scala environments. For instance, Scala source code can be compiled into Java bytecode and then executed on any Java Virtual Machine (JVM). Beyond being a cross-platform language, Scala is also inter-operable with Java code. This means that you can successfully make a call from a Scala program to any of the standard or custom Java libraries that are on the JVM’s classpath and get your request executed just like any Java code. On the other hand, Java applications can also invoke and execute Scala functions in the program. Thus, you can quickly and easily integrate Scala code with existing Java code that your organization may have invested in. 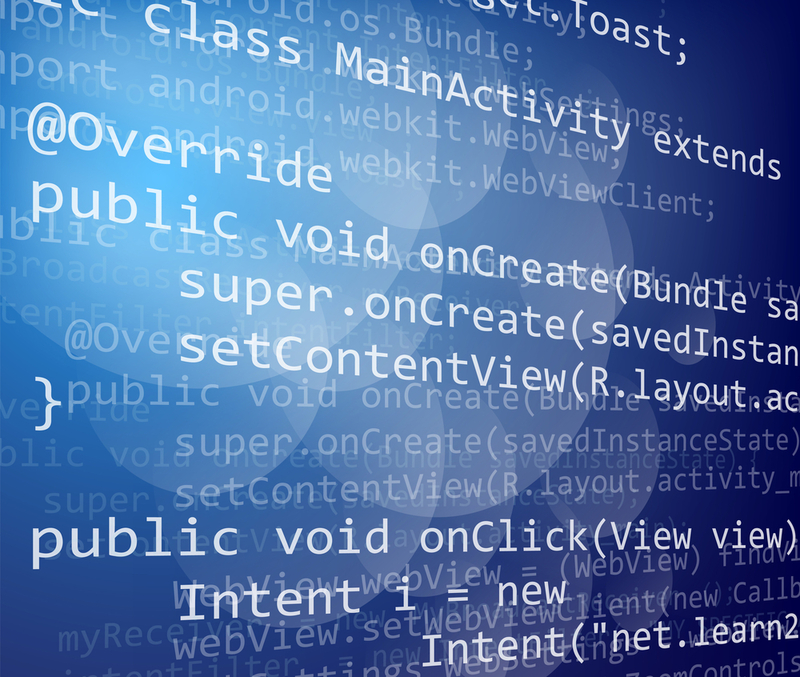 This attribute can help minimize the costs associated with custom software development. Since Scala was intended to be an improvement of the Java language, there are some code distinctions and paradigm shifts that differentiate the two languages. The major distinction is that Scala code is more succinct and concise when compared to Java code. One of the major drawbacks of Java is that it is too verbose and hence it makes the process of programming daunting. Scala, on the other hand drastically reduces the number of lines involved in a program by making clever use of type inference, function passing, and several other features. Scala has a built-in “lazy” keyword that enables programs to defer time-consuming computations until absolutely needed hence increasing efficiency. Scala has been designed to express common programming patterns in an elegant and type-safe way. This encourages writing code in an immutable style, which makes applying concurrency and parallelism easier than in Java. Java uses generic typing which can be easily circumvented hence making the syntax simpler to read and understand. Conversely, Scala has strict typing which makes the syntax a bit confusing and repulsive especially for beginners. This also makes the learning curve for Scala much steeper than that of Java. Frameworks are basically reusable software environments/ toolkits that provide specific functionality to facilitate faster development of software applications and solutions. The following are the major Scala and Java frameworks. Akka is a framework that can be used for building highly concurrent, distributed and fault-tolerant applications for both Scala and Java on the Java Virtual Machine (JVM). This framework handles all the complexities involved when creating and scheduling threads, synchronizing and handling race conditions, and receiving and dispatching messages in an application. It employs the Actor model approach in handling concurrency in applications. Play is an open source web application framework written in Scala that can be used for developing both Java and Scala applications. This framework is stateless, asynchronous and non-blocking which makes it ideal for building scalable web applications faster. It’s lightweight, developer friendly and can be used in both desktop and mobile web applications. It’s rich interactive features allow users to enjoy real-time experiences when using these applications. Lift is a powerful open-source web framework that can be used for writing both Scala and Java web applications. Lift applications are known to be inherently secure, scalable, modular, designer-friendly and interactive. Lift also makes the process of building and maintaining web applications easier than many other frameworks. In the recent past, Scala programming language has become very popular especially in the realm of cloud computing. This is because the functional aspect of Scala makes it ideal for creating domain specific languages (DSLs). A domain specific language is a programming language developed specifically to meet the needs of a particular platform, system, industry or field that cannot be effectively addressed by using mainstream languages. Since cloud computing is an industry with specific needs, there has been a necessity to create DSLs for it. Over the years, Scala has proven itself to be one of the perfect languages to use in building DSLs, especially in the cloud computing industry. Overly, the interoperability of Scala with Java coupled with the highly functional and scalable nature of the language has made Scala a rapidly growing programming language in the software development industry. As cloud computing continues to deepen its roots as the platform of choice for most businesses, so will Scala and Java languages become the choice for programming and interacting with cloud computing platforms.